Open Channel: What's Your Craziest Fan Theory? It’s time to go a little bit crazy! Tonight, it’s the last call for Westworld surprises in season 1. 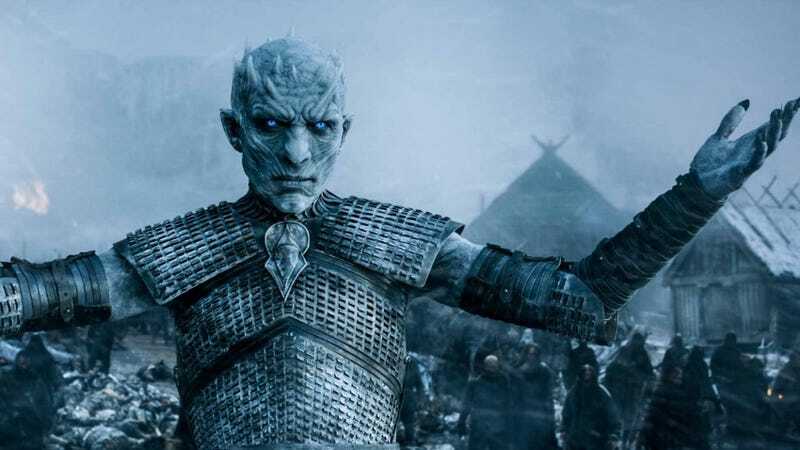 We’ve got the next season of Game of Thrones coming up, The Walking Dead is still doing its thing. There are lots we can move forward from the expected into the unknown. That is, unless you prefer to keep the mystery, which is totally understandable. For me, though, I love discussing different ideas about shows moving forward—not because any of them are necessarily right, but because they enhance my understanding of the characters, as well as give me better insight into the thoughts and opinions of others. Plus, sometimes it’s fun to just throw something on the wall and see if it sticks. Since I’m knee-deep in Westworld, that’s been most of my theories so far, and I’ll tell you, at least half of them so far have been flat wrong. Even though this “technically” could still happen, I was dead-set for weeks that Logan was going to turn out to be Wyatt, after Dr. Ford secretly operated on him, turning him into a half-man, half-machine hybrid. Hence, why Delos was so fascinated with the tech...they wanted to create Dollhouse-style manbots out of real folks. Soylent Green is people! Yeah, pretty sure that’s not going to happen. Nowadays, the latest theory I’m most psyched about comes from a conversation I had last week with my older sister (we’ve been having weekly Westworld phone chats on Mondays). After I suggested that Charlotte Hale (Tessa Thompson) might be the Man in Black’s daughter, given her stature in the company at such a young age, my sister counteracted that she might actually be Arnold’s daughter. As we all know, Bernard remembered having a son named Charlie, and his death motivated his thoughts and actions. However, what if he was actually a she, and she never died, she was simply altered in his memory? Arnold’s daughter would naturally be skeptical of Dr. Ford, since she might blame him for her father’s death, and Dr. Ford would do everything he could to make sure Bernard had nothing to do with her. But, since he wanted an Arnold duplicate at his side, not just a host, he wouldn’t be able to simply erase Arnold’s child from his memory. That would remove a key part of his identity. Of course, the only questions remaining are why Charlotte wouldn’t recognize him, and why Arnold mentioned his son when chatting with Dolores in what may turn out to be 30-year flashbacks. You know what, dammit, I think I just disproved my own theory entirely. Also, shame on me for assuming a young woman needs nepotism to land a dream job. So what are you hoping to see in tonight’s season finale, what do you think is going to happen next on The Walking Dead? Any other shows with hidden surprises? Let’s chat!